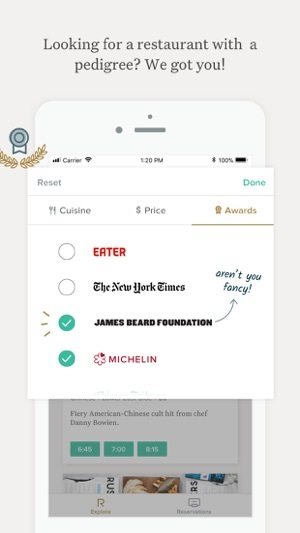 Reserve offers you the easiest way to book a table at the best restaurants in your city. Looking for a spot recommended by your favorite food publication? Or maybe just want something nearby? 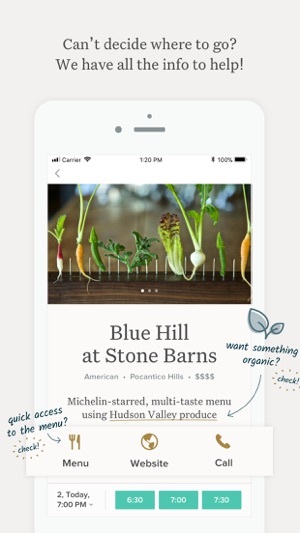 Book exactly what you're looking for in just a few taps! Reserve with Resy - your favorite restaurants are moving to Resy! 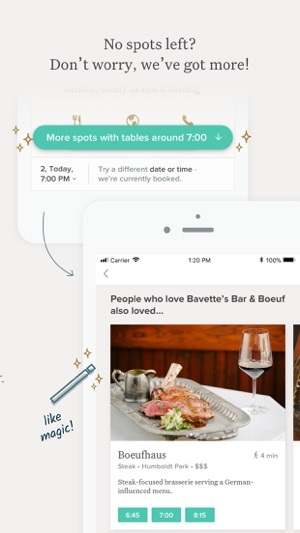 Glitzy photos and design are no use when the app won’t let you actually book reservations. I’ve had it book successfully a few times but at most other times I just get a something went wrong message with no further details. Usually this involves restaurants that require a credit card to hold the reservation so it becomes a twenty minute process to try different cards and try the website instead of the app, all to no avail. I’m kind of over Reserve and I make it a point to tell each restaurant how crappy the booking experience is compared to Opentable or resy. Lucky for Reserve it doesn’t book half my reservations so I can’t go to the restaurants anyway. Really am enjoying the new iteration of this app. It is such a nice experience compared to other reservation apps in the marketplace. 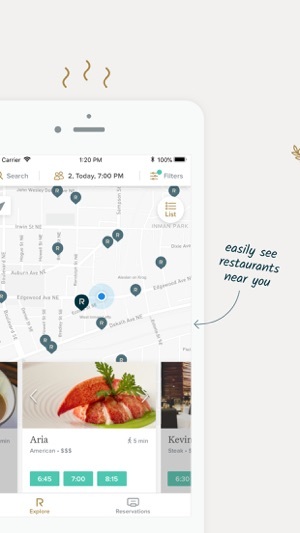 The simplicity makes discovering and ultimately finding a restaurant so easy. I also really like the sleek design. No cluttered content. Especially love the ability to filter by awards. That is unique and very helpful. Thumbs up and thank you! I would love to delete this app, as I would the other reservation apps, because NONE work as effectively as Open Table. Alas, I know OT roles the restauranteur over the coal, charges high fees and many restaurants have abandoned it for other options. As a user, that is disappointing. I travel a lot and love to try new places. Because of that, I’m forced to try and work with these secondary apps. With Reserve, I can’t see my future reservations ( or can’t easily figure out how!) 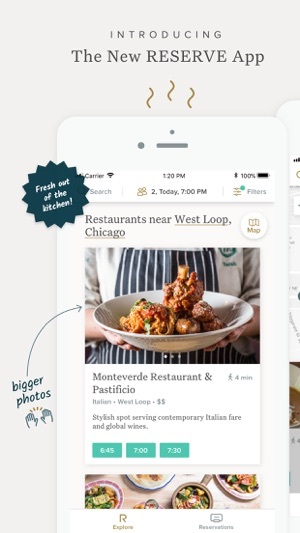 Resy badgers you to review a restaurant and Reso is too regional. All of this mess makes me long for the days of telephone reservations. © 2019 Reserve Media, Inc.